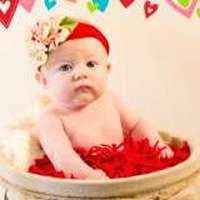 This red big flower headband for babies and children makes a fun professional photography prop. This soft red flower headband is cute to wear year round with both casual and formal outfits. 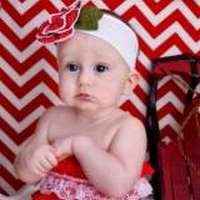 This children's red headband is also fun to wear for Valentine's Day and during the Christmas holidays. This red flower headband is so soft and comfortable to wear. 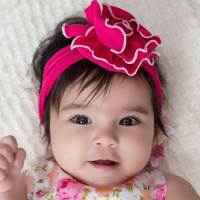 This infant and girl fabric headband makes a pretty gift. 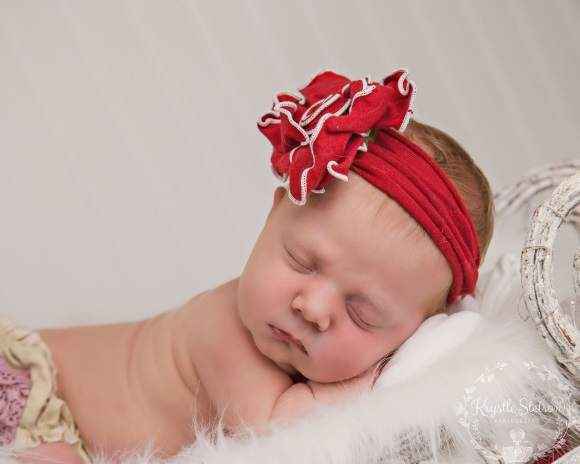 This red large flower headband is handmade in the U.S.A.
Each red big flower headband for babies is handmade in the U.S. 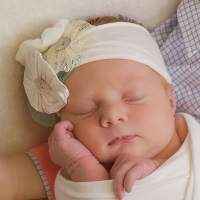 Note: Each red big flower headband for babies and children is handmade individually, and so there will be slight variations from the photos.